When going to college, one of the biggest challenges you’ll be faced with is how to pay for it. After filling out the FAFSA, you might find that you’ve been approved for both subsidized and unsubsidized loans. If so, you’re probably wondering which is best for you. What is the difference between the two? How do they affect your credit score? Let’s start answering these questions by first defining each type of loan and helping you identify the benefits of each. Then we can determine which is ideal for your situation. First, let’s start with subsidized loans, as these are generally the more favorable option – if you are eligible for them. The catch is that they are more difficult to qualify for. To obtain a subsidized loan, a student must demonstrate a financial need to have the aid paying for their educational expenses. They come with lower loan limits compared to unsubsidized loans. In addition, they are available to undergraduate students only. However, if you meet these requirements to get subsidized loans, they tend to be the best option for you. Why? What makes subsidized loans so great? 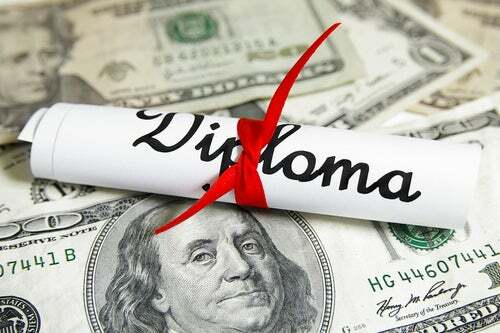 The primary benefit of these loans is that, while you are enrolled in college, the Education Department pays the interest that accrues on them until the time that you graduate. This means that when you graduate school, you will owe the same amount that you borrowed on your subsidized loans – and not a penny more. You also don’t need to start making payments on these loans until you graduate. To contrast, unsubsidized loans start accruing interest from the moment you take out the loan – just like most loans work. However, because these loans are for educational purposes, you will not be required to start making payments on them until you have graduated from your university. This allows you to get through school without worrying about how you’re going to make your next payment – however, that interest is adding up all the while. The benefits of unsubsidized loans lie in the fact that they are much easier to qualify for. In addition, students are typically able to qualify for them in higher amounts – getting them the funds that they need to pay for their education. Before you take out loans to help you pay for school, it is normal to wonder how this is going to affect your credit. Are student loans bad for your credit? Does subsidized vs unsubsidized make a difference in terms of credit? First of all, student loans are not bad for your credit at all. In fact, they are a great way to establish your credit history. Many college students have not been in the game of establishing credit for very long, but student loans are a great way to get started. Student loans are considered “good credit” whereas things like credit cards aren’t viewed as favorably by banks. Fortunately, both subsidized and unsubsidized loans are viewed similarly in terms of your credit score. Having either type of loan is good for your credit – as long as you make your payments after graduation. So, Which Type of Loan Is Right for You? In the long run, you will save more money by opting for subsidized loans and paying less money in interest. However, you may not be offered enough money to get you through school with subsidized loans alone. If you are offered both types of loans, the decision that many students make is to take out the subsidized loans they are offered and supplement them with the unsubsidized student loans to get the rest of the funds that they need. Remember, you don’t have to take out the entire amount that you are offered! You have the option to take only what you need to help you save money in interest in the long run. This entry was posted in Loans and tagged Credit Score, FAFSA, monitoring credit, student loans. Bookmark the permalink.